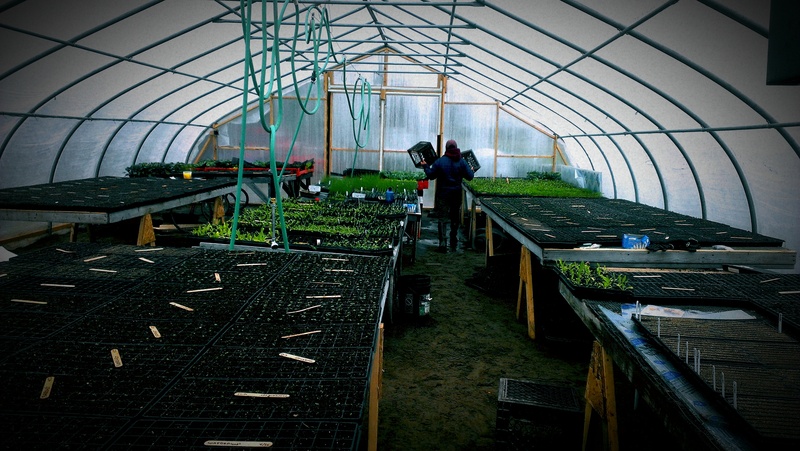 Shoveling out the snow so we could build the green house end walls… this was April First! 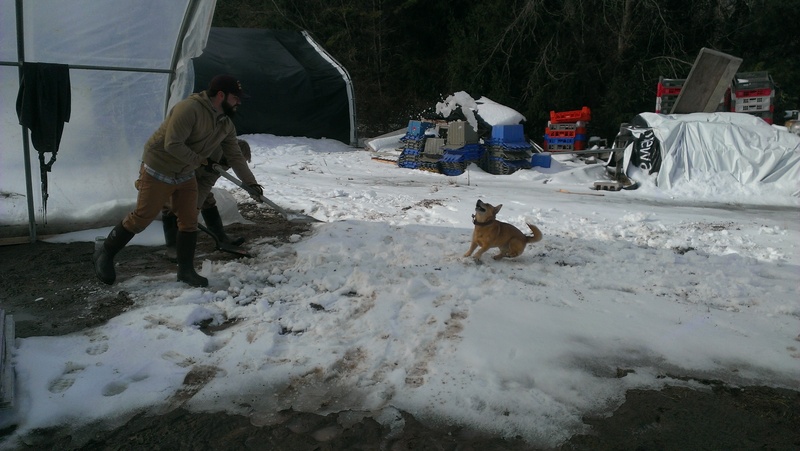 Oy is helping by catching snow. Very helpful. Jonny installs the inflator fan, hoping to have electricity someday! 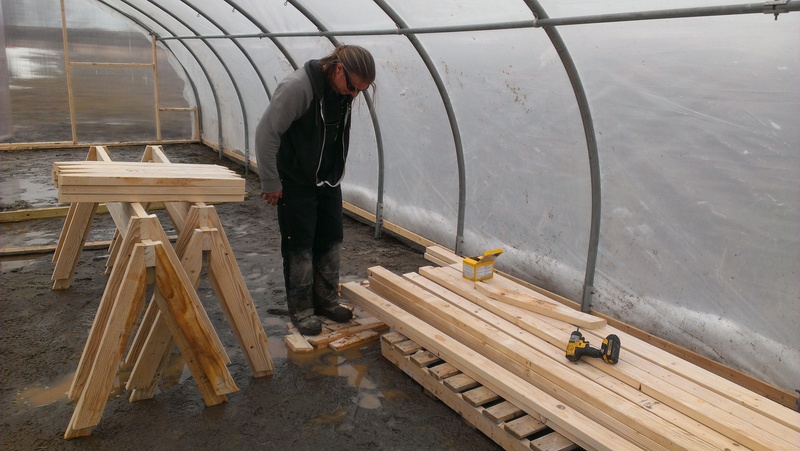 We decided to upgrade our greenhouse table system, and so Josh and I turned the house into a sawhorse factory for a day… Josh got tired of standing in a puddle, so he lay a little bit of floor down to stand on. 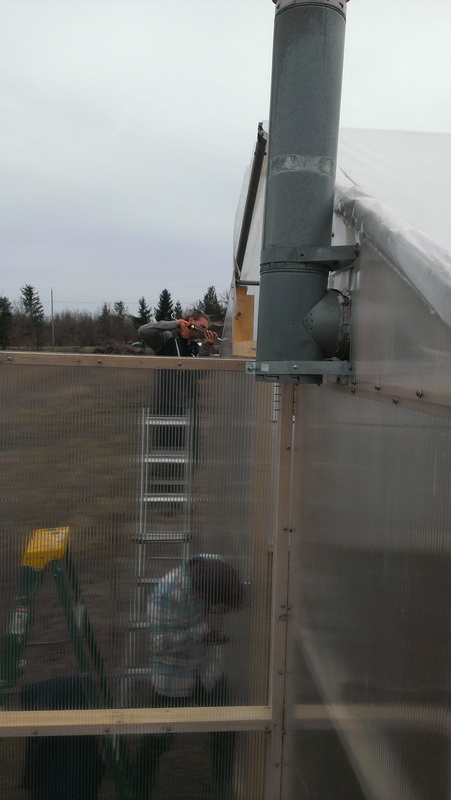 Josh and Eric work on endwalls. 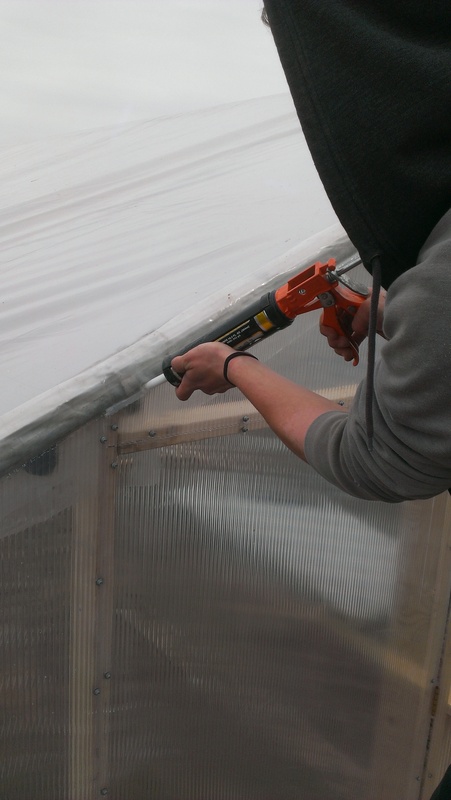 Josh caulking the seams between different kinds of plastic. Oy warms up after a hard day of playing in the muddy snow. 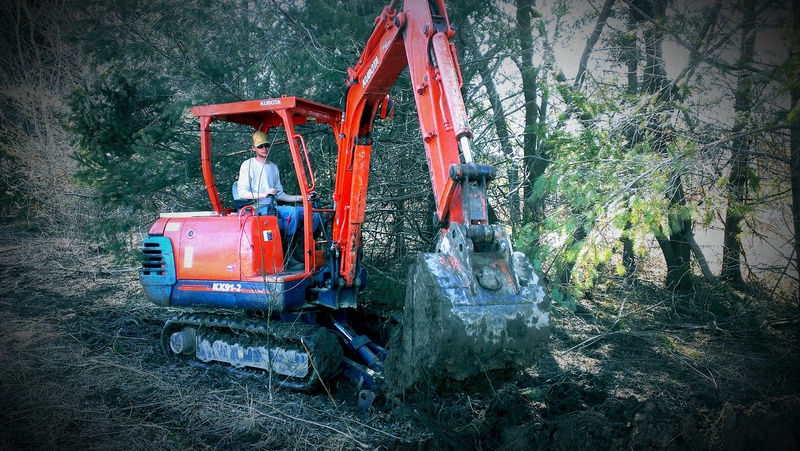 Once the ground thawed, we tried to dig a trench with a rented Ditch-Witch, and quickly found that it doesn’t work in the mud… fortunately our landlord saved the day by lending us his excavator. Jonny was the lucky one who got to learn how to use it! 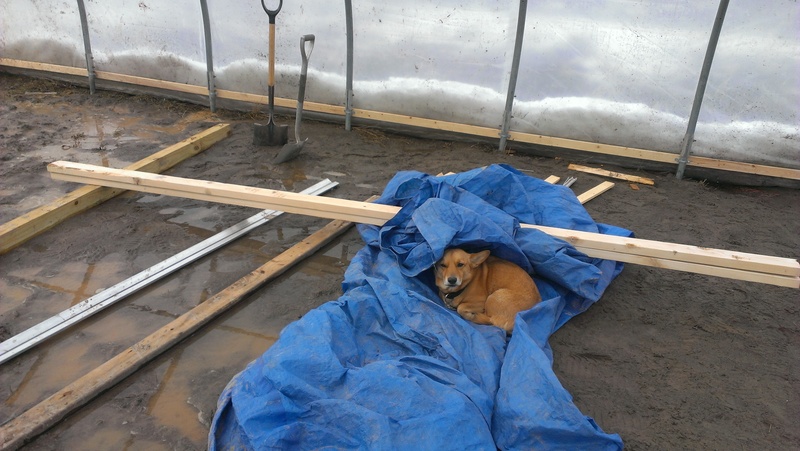 He was able to dig the two foot deep trench from the greenhouse to the pole on Cherry St. in a few days. I don’t know what we would have done without that thing! 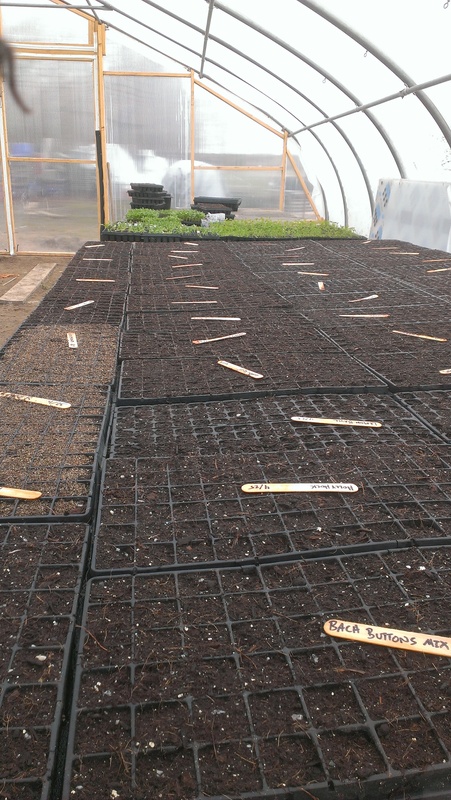 Finally, we have plants started in our own greenhouse. 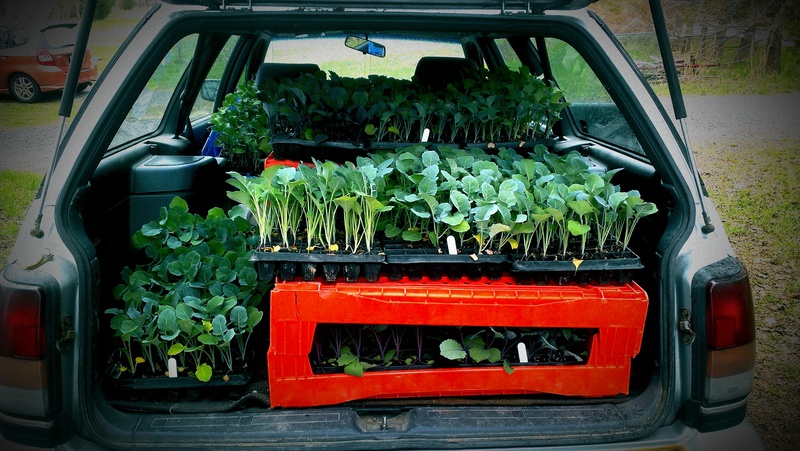 The migration of plants started at Peacework to our own greenhouse… you can always fit more than you think into a Subaru! Having fun and mixing soil. 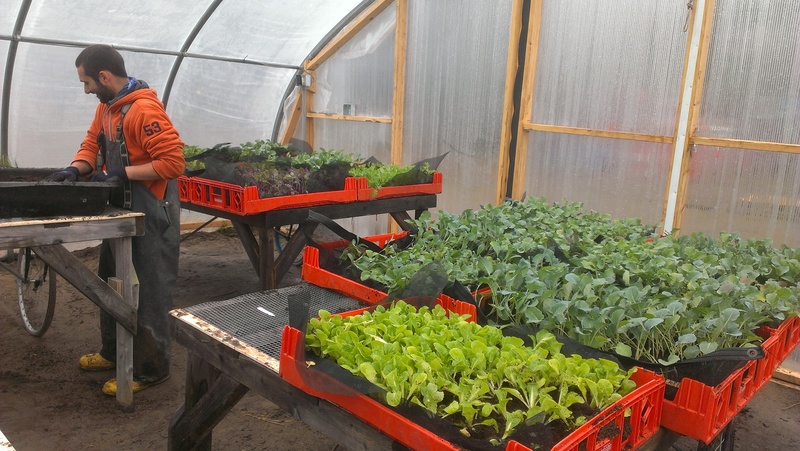 The greenhouse is getting very full! 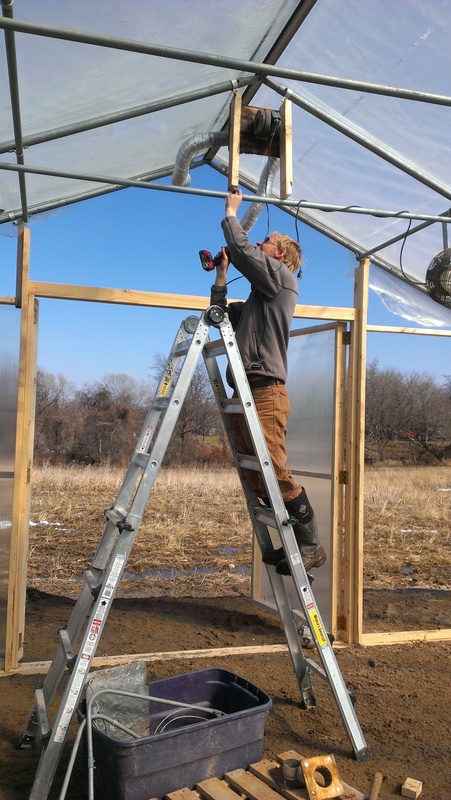 Now that the whole electricity and greenhouse adventure is figured out, we can breathe easier. The latest challenge has been finding dry time to get the ground worked up. We have the onions and earliest direct seeded things in the ground, but the land that needs to be plowed for later crops is still too wet to work. 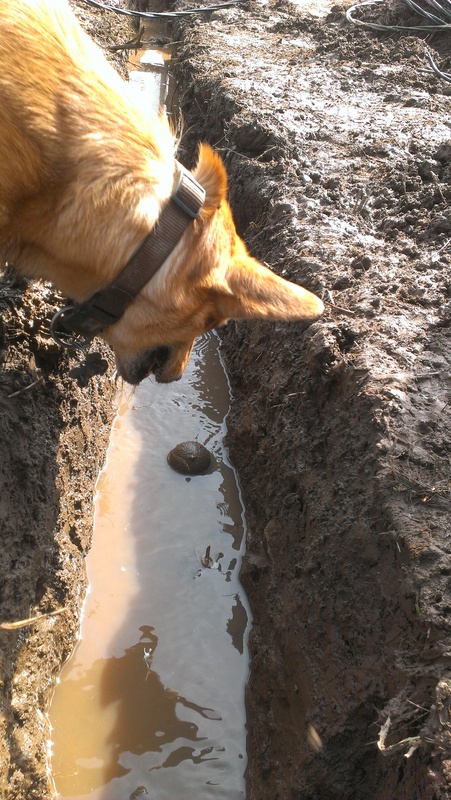 Here’s hoping for a long sunny spell… and the further adventures on Mud Creek Farm continue!